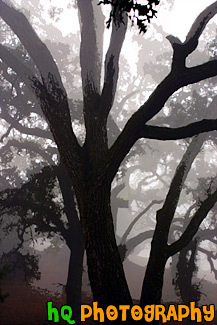 Here is a scenic photo of a tree taken early in the morning with fog surrounding the area. 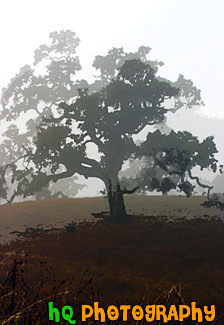 This is a photo taken in the hills of East San Jose during a foggy morning. A beautiful scenic photo of looking up at three palm trees on a sunny day. In this photo the blue sky is bright with few clouds and all three palm trees are lined up perfectly. This photo was taken on the campus at Santa Clara University in the Mission Gardens. 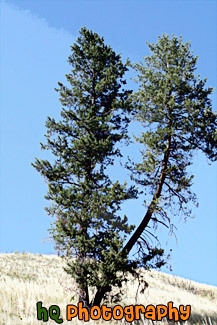 A scenic picture of two tall evergreen trees located in the middle of Mt. Rainier's National Park near Paradise and Mt. Rainier. This is a view looking west to the forest and some hills. This picture was taken during the summertime in August. 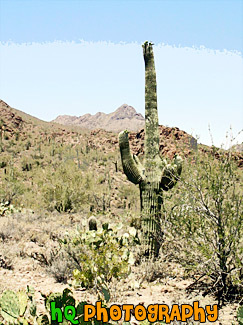 A scenic photo of a green catcus tree taken in the state of Arizona. This photo was taken on the desert land on a beautiful sunny day with blue sky overhead. 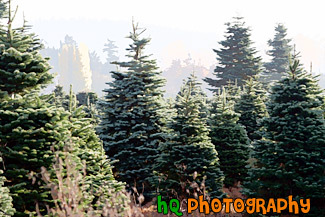 A scenic picture taken of a bunch of Christmas Trees located at a Christmas tree farm outside. 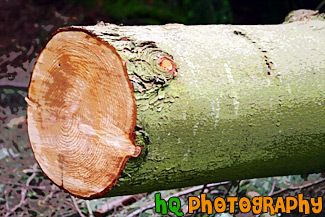 A close up picture of a log cut in half of a fallen down tree. This log was found on a trail at Mt. Peak which is located in Enumclaw, Washington and is a popular hiking workout trail for the locals. A close up picture of a tree in bloom during the Spring season. 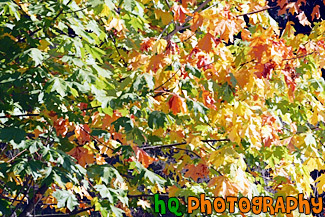 A close up picture taken of colorful leaves changing color during the fall season. 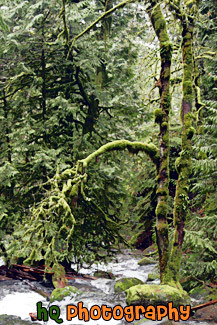 A scenic vertical picture taken of some trees with moss on them while the Multnomah Creek runs through them. This photo was taken during the winter. 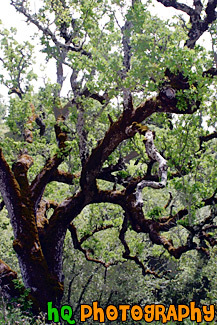 A scenic photo looking up at a very green and mossy tree out in the nature in California. 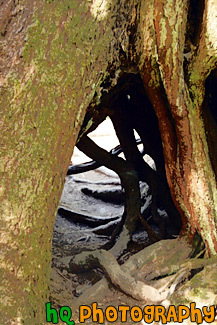 A close up scenic picture taken of a hole located in the bottom of a tree trunk. 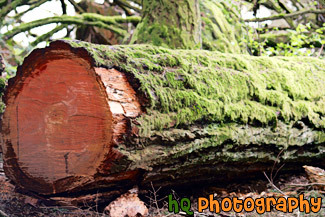 This photo was taken in the Hoh Rain Forest located in the Olympic National Park in Washington State. 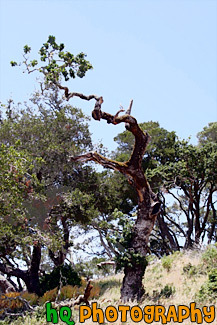 A scenic vertical picture taken of an interesting tree located in Marin County, California. This picture was taken on a sunny day. 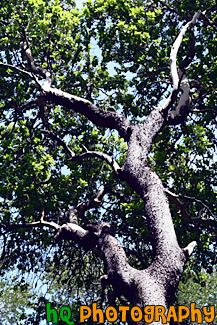 An interesting vertical picture taken of a tree, branches, and leaves located in Marin County, California. Blue sky is seen in the background. A photo of a lonely tree with fog surrounding it. A scenic vertical picture looking up at a big Sitka Spruce Tree located in the Hoh Rain Forest at the Olympic National Park in Washington State. 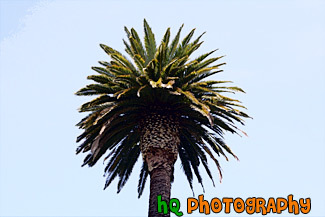 A scenic picture looking up at a pretty palm tree on a sunny evening with blue skies in California. A scenic picture looking up at a row of Sitka Spruce trees located in the Hoh Rain Forest in the Olympic National Park in Washington State. 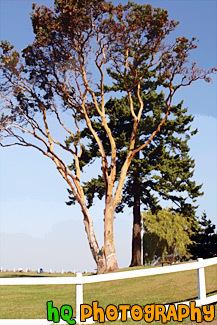 A scenic vertical picture taken of an interesting Madrone tree with bright green leaves and a lighter redish-orange color looking brown. 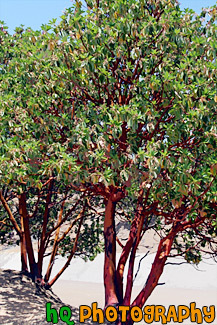 Madrone trees are a beautiful broadleaf evergreen tree, with rich orange-red bark that peels away on the mature wood, leaving a greenish, silvery appearance that has a satin sheen and smoothness. This scenic photo was taken on the island of Maui, Hawaii on the beach of Makena just as some dark clouds were rolling in from the ocean. 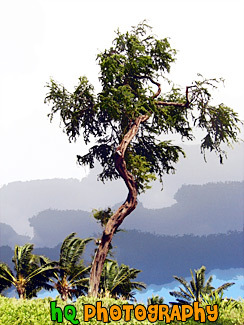 This tree is capturing the mood of the dark, windy storm rolling in from the Pacific Ocean. 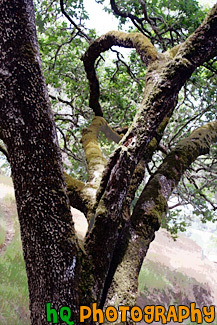 A scenic vertical picture taken of a mossy tree close up on a hiking trail near Mt. Tamalpais Watershed District in Marin County, California. 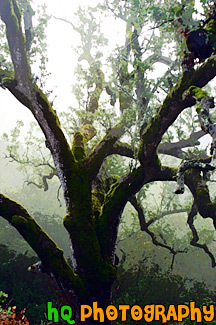 This photo is taken of a scenic mossy tree with fog in the background and surrounding the area. This shot was taken in the eastern hills of San Jose, California in the Fall. 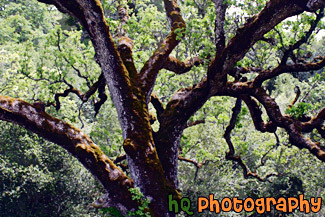 A scenic picture taken of a mossy tree close up over the hills of east San Jose, California near Grant County Park. 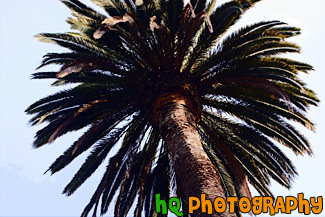 A scenic picture looking up at a palm tree located in California. Blue sky is seen in the background. 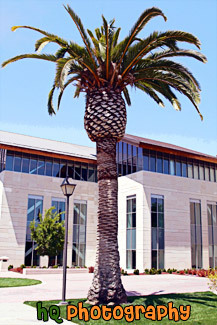 A scenic picture taken of a palm tree located on campus at Santa Clara University in California. Blue sky is seen in the background along with the Learning Commons/library. 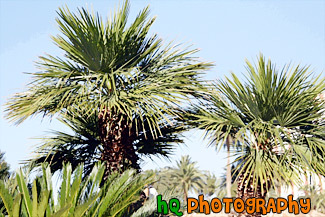 A scenic picture taken of about 6 palm trees with blue sky as backdrop. 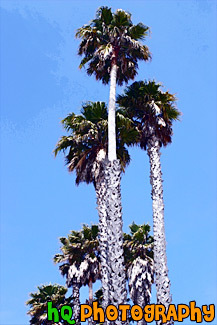 These palm trees were found near the boardwalk in Santa Cruz, California. Palms are evergreen, mostly tropical plants in the family Palmae (also known as Arecaceae). There are over 2500 species of palms. 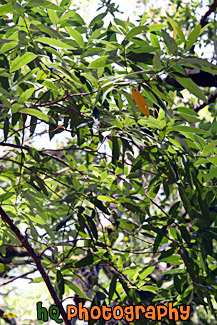 Most are tree-like, with single trunks and either fan shaped or feather shaped compound leaves. 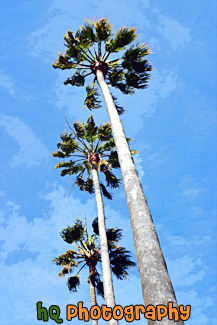 A scenic picture taken of four palm trees in which it alternates between a big/thick palm tree and taller/thinner palm tree with blue sky in the background. 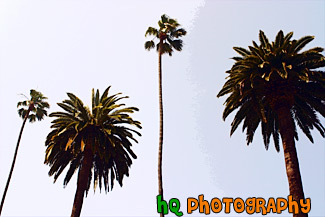 These palm trees were located in Beverly Hills, California near Sunset Blvd. A scenic picture taken of two palm trees close up with blue sky seen in the background. 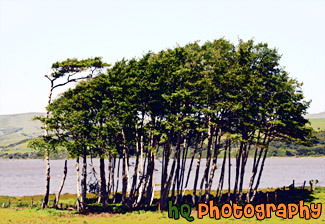 A scenic picture taken of a bunch of trees clumped together near Point Reyes, California in Marin County. Point Reyes is home to many native land mammals which number about 37 species. Marine mammals also add to this total by another 12 species. The biological diversity stems from a favorable location in the middle of California and the natural occurrence of many distinct habitats which makes Point Reyes a fun place to visit. 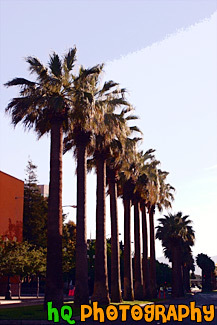 A scenic picture taken of a row of pretty palm trees located in downtown San Jose, California. Blue sky fills the sky above these beautiful palm trees. 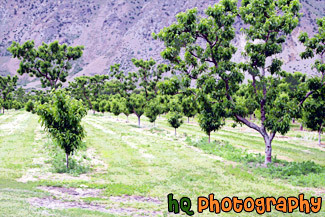 A scenic picture taken of rows of green apple trees located in a field in Eastern Washington State. 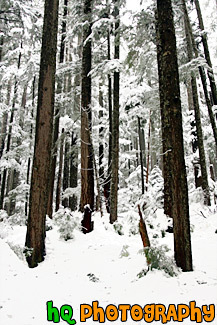 A scenic vertical picture looking up at rows of winter trees with snow covering and all around them. This photo was taken in Mt. 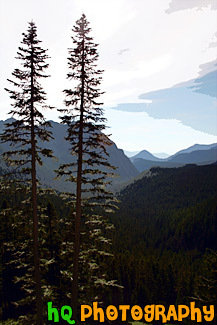 Rainier National Park near Longmire. 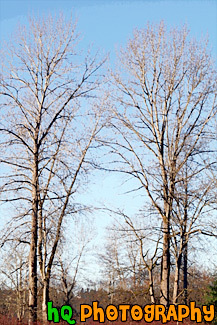 A scenic vertical picture taken of two tall seasonal trees. As you can see in the photo, these two trees have lost their leaves due to the Autumn season. 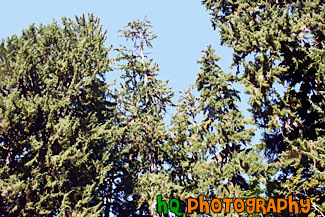 This photo was taken on a sunny day in Washington state with blue sky seen in the background. 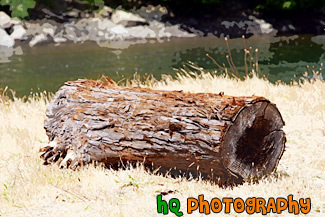 A scenic picture taken of a short log on the ground located in the Marin County of California. A lake can be seen in the background. 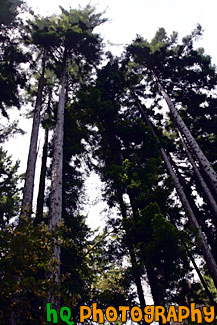 A scenic vertical picture looking up at tall trees. 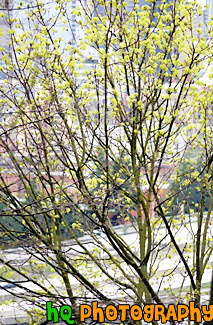 A scenic picture taken of a tree in bloom with the city of Seattle seen blurry in the background. 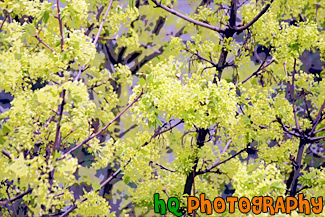 A close up picture taken of some green leaves on a tree. A scenic vertical picture taken of a lone tree on a hill located in the state of Idaho. 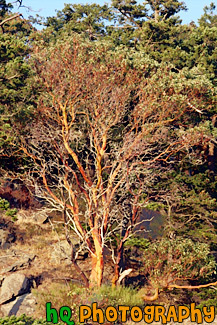 A scenic vertical picture taken of an interesting tree located on the side of a cliff at Deception Pass State Park which is located in Washington State. This picture was taken as the sun is starting to set as you can see the orange light shining on the tree. A scenic picture taken of a tall tree with blue sky in the background and a white fence in the foreground. 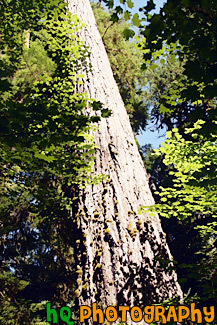 This tree was taken at the Brown's Point Lighthouse Park near Tacoma, Washington. 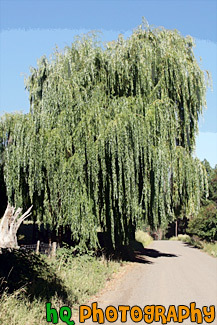 A scenic vertical picture taken of a Willow Tree located in eastern Oregon and western Idaho on a beautiful sunny day. This willow tree was located near the Hells Canyon National Recreation Area. 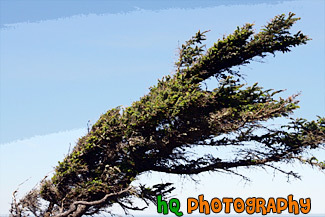 A scenic picture taken of a wind blown tree located along the coast in Oregon State. 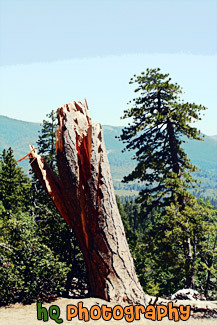 A scenic picture taken in Yosemite National Park in California of a tree and cut off stump on a pretty sunny day.